2999 drifting into the ‘main line’ platform at Didcot. 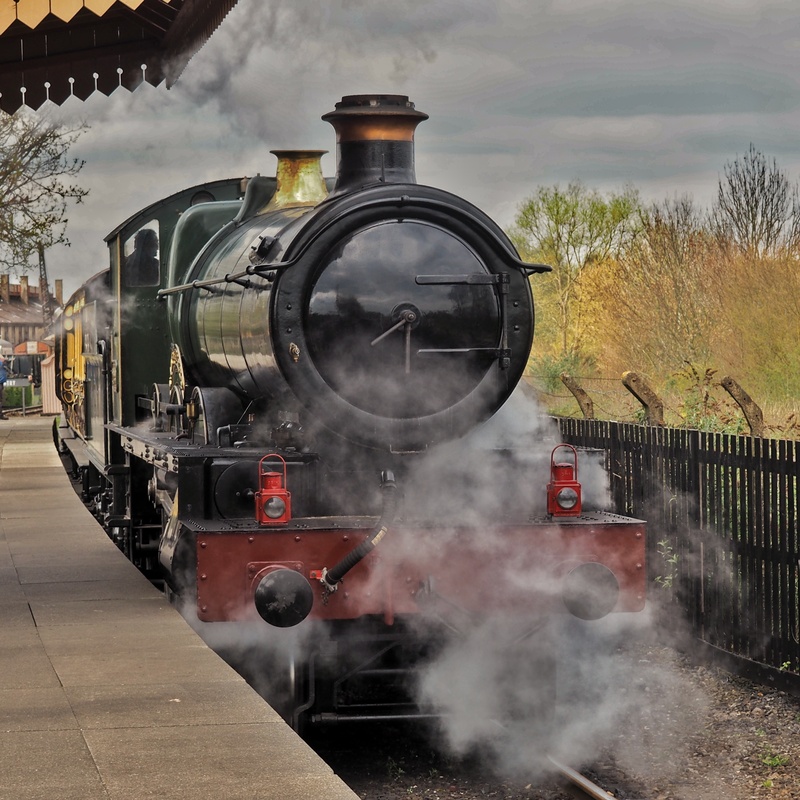 The launch of the reconstructed GWR Saint at Didcot commences the period of three years or so in which we can expect to see half a dozen new build projects completed. 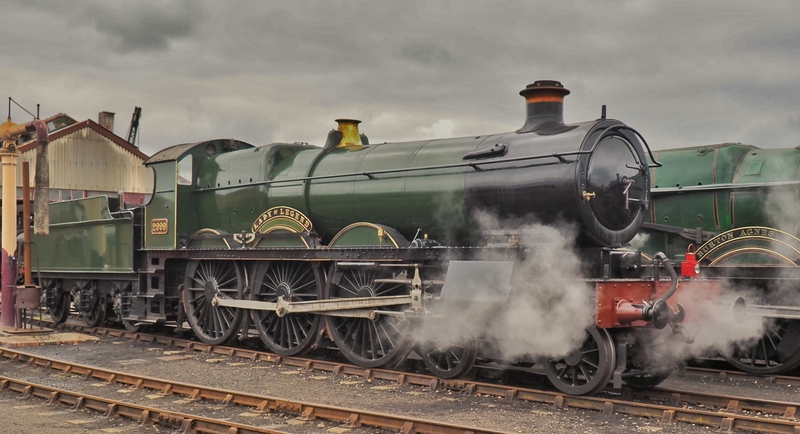 Lady of Legend was given its formal launch from the Great Western Society’s turntable by writer and TV presenter Prue Leith on Friday April 5th, and worked trains up and down the demonstration line over the Friday and weekend, alternating with 6023 King Edward II. 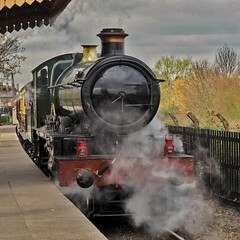 Even given the project’s long path to this moment, the final roll-out of the locomotive may have come close to the wire: its new green livery (re-painted from the black it wore at its photographic launch) remained unlined, and its exhaust was audibly off-beat. Nonetheless it still counts as a major achievement: before this month, you couldn’t ride behind a GWR Saint, and now you can. 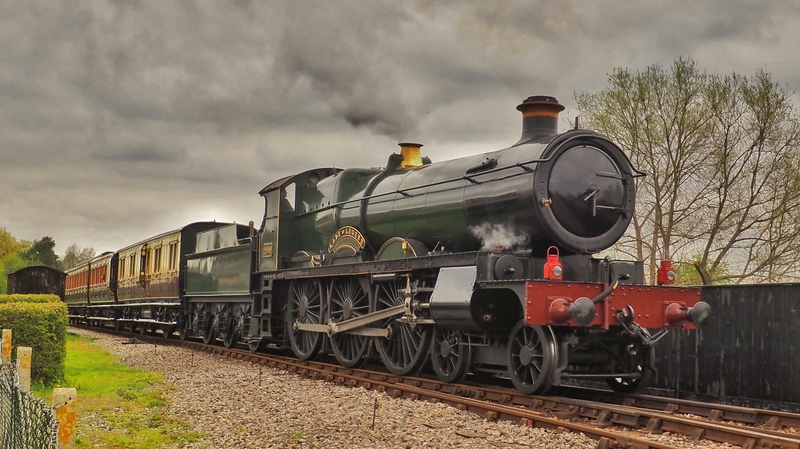 New Build Steam understands that 2999 will remain at Didcot this year for further fettling, and that visits to longer lines are a possibility for 2020. All photos by New Build Steam – more shots are available in this Flickr album and in the New Build group pool, to which further contributions are very welcome. Video by TheSoutherner on Youtube, featuring footage of the launch ceremony. 2999 Lady of Legend working a train on the demonstration line. Lady of Legend back on-shed after its last turn of Saturday. Although my interest lies with Scottish and LNER locomotives, I’m very pleased to see this locomotive completed, and I congratulate all concerned in its building. The cleanness and modernity of the design is very evident now that the real thing can be seen. There’s something about the overcast conditions, and the settings on your camera, that gives the still thumbnails a low-contrast, matte finish reminiscent of an old postcard, or even a cigarette card (and if you can remember what one of those is, you can probably remember the Saints from the first time round!) Pleasantly appropriate. Thanks Clive – probably a result of the heavy use of editing software I had to undertake in order to get decent images, given the very dull light when I was there! But I did feel the end result was quite pleasing, so I’m glad I’m not alone in that. Those are hardly important issues compared to the many years of effort and the wonderful achievement of building this locomotive. Every ex-works locomotive has to be run-in to iron out minor defects. If you have nothing constructive to say, why not keep your opinions to yourself?